frequently misunderstood, misquoted, mistranslated, and misused. For instance, those who quote the Bible in condemning homosexuality often cite the story of Sodom, and those who favor homosexuality point to David's lament over the death of Jonathan. But as the authors show, neither passage is clearly about homosexuality, and these texts do not offer solid footing on which to make an argument. Readers learn that female homosexuality is not prohibited--only male homosexuality. And on the subject of abortion, the Bible is practically silent, with one extraordinary exception. The Bible has inspired people to do great good but has also been used by people to do great harm, so it is vitally important for us to pay attention to it--and to get it right. 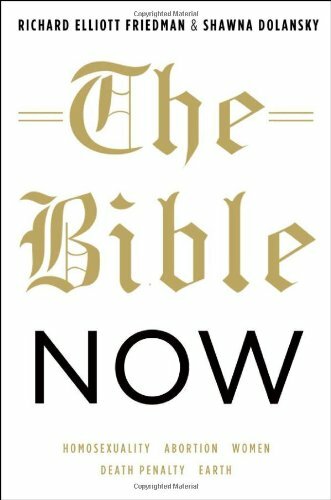 The Bible Now shows us how we can--and cannot--use this ancient source of wisdom to address our most current and pressing issues. notes in scholarly and popular publications.